As a parent, you know that kids can seem like mini tornados. They run through the house, leaving a trail of mess behind them. Your kiddos are bad enough, imagine having a handful of their closest friends joining the mini tornado and causing full destruction to your home. That is what it is like hosting a birthday party at your home. When you host a child’s birthday party at home, you have to expect the house to be left worse than it was. You may find frosting smeared on the wall, chip crumbs in the couch, trash scattered around the backyard, and a mess everywhere you look. Your child and their friends do not realize that your home is being destroyed as they run through the halls, slam the back door over and over again, or climb on the banisters. They do not think about the mess they are making. Which means you will be left to clean it up and make your house look flawless again. Luckily, Jumpin’ Jamboree can help keep your home clean and safe from sugar-crazed children. There are many reasons to choose Jumpin’ Jamboree as your child’s party place rather than hosting the party at your house. With locations in both Kendall and Doral, you will be able to find an awesome place to host your kiddo’s birthday party that is nearby! In this blog, we are going to give you a few more reasons why you should host your party with us, rather than at home! Choosing Jumpin’ Jamboree is simple and allows you to deal with less planning. 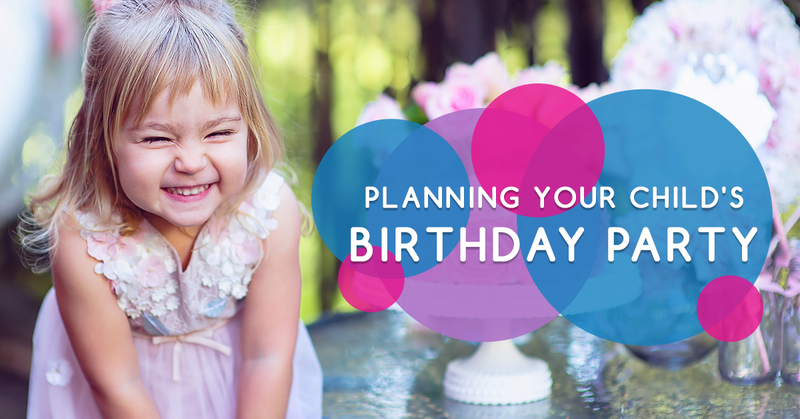 When you decide to have your child’s party at home, you are the one who has to make all of the plans and do all of the preparation. This means planning the food, decor, dessert, activities, goodie bags, invitations, and everything else. But not only do you have to plan it, you also have to do all the prep work for it. You are the one who has to clean the house, buy the snacks, decorate, and get everything ready for your child’s special day. And all that hard work can be destroyed in a matter of minutes once all of the friends show up! When you choose Jumpin’ Jamboree, all you have to do is choose the party package you want. With our party packages, you will have access to a party suit, the entire facility, a party host, food and drinks for the kiddos, party supplies, invitations, and so much more! Our crew will also set-up and clean-up for you, so you won’t have to worry about anything else. One of the toughest parts about hosting your child’s party at home is keeping everyone entertained. Kids can entertain themselves for hours, playing with toys they find lying around, chasing each other through the yard, or simple coloring. But the minute they get to a birthday party it is as though their creativeness and excitement suddenly shuts off and they expect you to keep them entertained with different activities and games. You can’t count on them to play throughout the entire party without getting bored, so you must prepare. You have to plan different activities and games that are fun for all of the kiddos. This could be games, arts and crafts, outdoor activities, or anything else you can think of. And the best part is that once you plan these activities, the kiddos will decide they don’t want to do them and would rather play their own games. It is a vicious circle, and you are in the middle. At Jumpin’ Jamboree, you won’t have this problem. You will be able to sit back and relax, while all of the kids play for hours. Our inflatable play place makes the perfect party place for this reason. Kids can’t get enough of it! 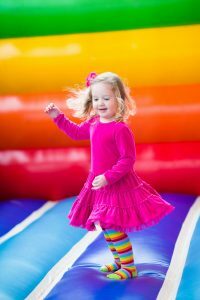 They will spend hours jumping, bouncing, sliding, and playing in our inflatable obstacle courses, slides, and bouncy houses. And you didn’t have to plan any of it! If the kiddos get bored with jumping or need a break, we also have arcade games that can keep them entertained for hours. Most parents will simply drop their children off at a birthday party and enjoy some time to themselves while you watch their kid. That can be stressful and intimidating. Watching a group of children can be hard, especially if you are trying to get activities started, get the food ready, or need a second to yourself. You don’t know how these kiddos usually act or if they enjoy getting into things they are not supposed to. You may have your spouse there to help you or another parent who volunteered to stay, but if not, you are on your own. 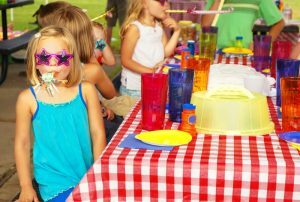 When you host your child’s birthday party at Jumpin’ Jamboree, you will get help! When you choose a party package, you will be assigned one or more (depending on the size of your party) hosts to help you with your party. This will give you a small break and less to worry about. We also have staff members supervising the play area at all times, meaning that you don’t have to worry about keeping an eye on each individual child at one time in our huge inflatable playground. While you may have planned fun activities and games outdoors, kids will be kids and they may end up watching TV or playing video games during the party. This mixed with sugar is never a good combination. Not only will your kiddo be hyper later on, but they may all get hyper before heading home and become a more powerful mini tornado, destroying everything in their path and more! Keeping kids active is hard these days, with technology being so child-friendly, but Jumpin’ Jamboree can change that! Your child and all of their friends will not be able to sit still as they get excited about jumping on our endless inflatables! They will be having a great time while staying active and using up all of their energy. This will allow you to send the friends home tired and have your child be calm and relaxed after the party. This type of play is great for children and will help them stay active throughout the entire party. There are endless reasons to not host your child’s party at home, from the set up to the cleanup and everything in between. Luckily, Jumpin’ Jamboree is here to help you avoid all of these potential problems and give your child a birthday to remember! You will be amazed at how easy a birthday party at Jumpin’ Jamboree can be. Find the party package that is right for you and start planning your child’s birthday at our fun and exciting inflatable party place. Contact us to learn more and reserve your party space today!